Welcome to the internet home of Olney Baptist Church. We are a community of worshippers based in this small but wonderful North Buckinghamshire town. 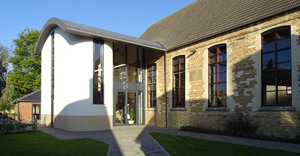 We use the church premises for fellowship and worshipping our Saviour, the Lord Jesus Christ, who came into this world as a sacrifice for our sins so that we may have eternal life with God. We feel this is something to celebrate and be thankful for! Please feel free to browse around the website and get a feel for who we are and what we believe. Better still, why not join us for one of our worship services - you'd be very welcome. 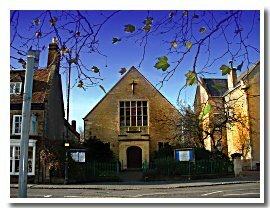 Our church has been meeting next to the Market Place since the late 17th century and undergone many developments over the centuries. If you would like to donate towards this project please visit "Virgin Money Giving"
Click here to download the PDF version of the John Sutcliff story. Sunday morning at 10.00 is our main service of the week, lasting just over an hour with coffee and fellowship afterwards. We also have an evening service at 6 o'clock. 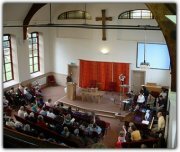 Our communion services are usually on the evening of the first, and the morning of the third Sunday of the month. Most of our sermons are now available for download in MP3 format. Click here to see the sermons available.